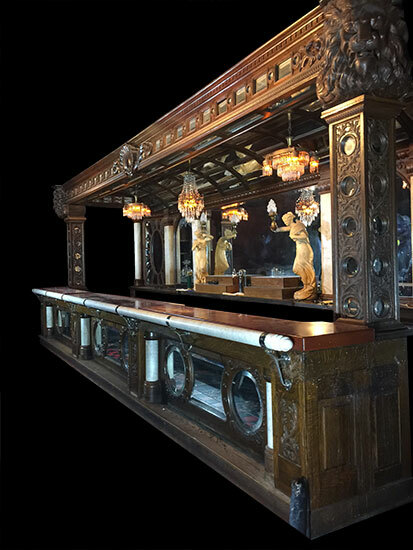 Originally, the bar was designed on spec and then commissioned to be built by the owner of the Lafayette Hotel in Utica, NY. As was the case with this grand piece, manufacturers like Rothschild would often design and then sell the fixture on paper prior to building it as its size, cost and intricacy made it very challenging to inventory and wait for a willing buyer. After several decades of service in Utica it was sold in 1921 to a wealthy hotel owner 20 miles away in Oriskany Falls, NY. Dismantling and transporting the enormous piece was a process nearly as arduous as the manufacturing of it; the bar came apart in pegged sections that were carefully marked to aid in reassembly. Teams of laborers loaded each section into horse drawn buggies and the bar was carefully relocated to its new home. 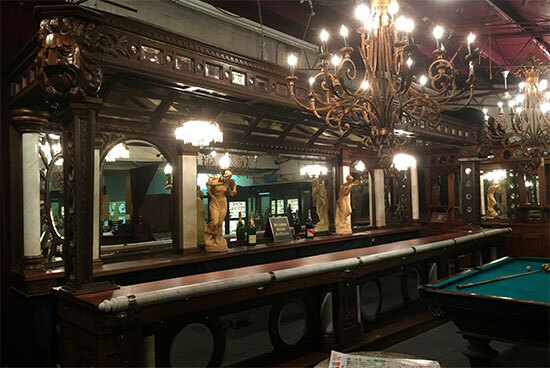 Fifty-six years passed and in 1977 two investors purchased the bar and moved it cross-country to Seattle, WA where, after a 13 year stint in storage, it was fully restored and placed in the Beach House at Shilshole Marina and then in the Drift-On-In Roadhouse casino in 1998. Nearly 20 years later and with the Casino closed, a new buyer was sought. 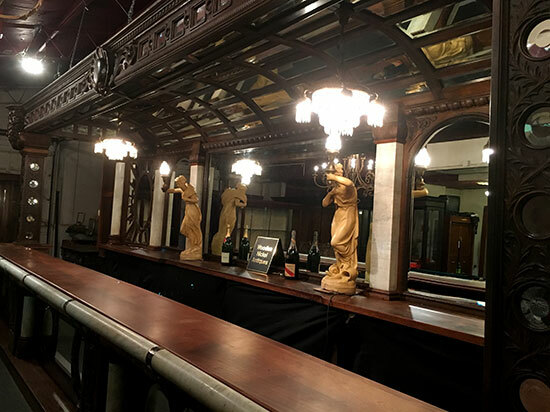 In 2017, Michael Williams, our owner of Wooden Nickel antiques purchased the bar. In his return trip from Washington State where he and our team dismantled and packed it up for its journey back across the country, Williams answered a phone call from Jeff Ruby, a restaurateur with a keen eye for items of historical significance who happened to be in the market for a landmark antique for one of his steakhouses. The bar would be coming back home to Cincinnati. 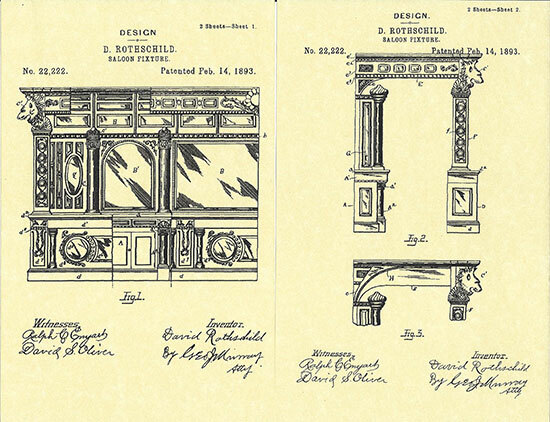 ** Also pictured is a copy of the 1893 patent application.